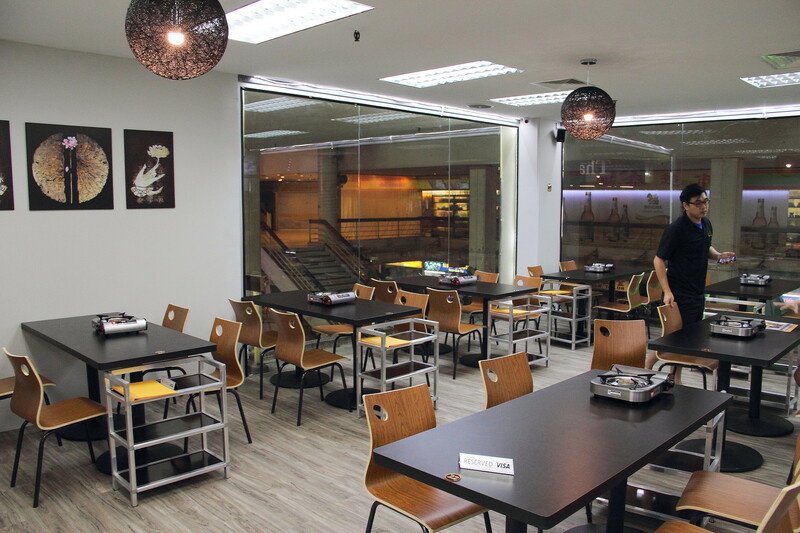 Suki Thai Steamboat and Thai Cuisine is the latest addition in Golden Mile Complex. 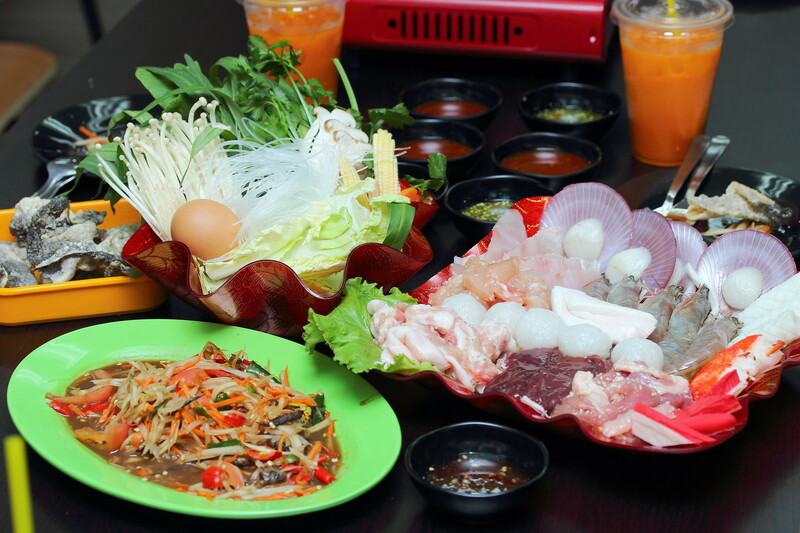 The month old restaurant serves not only Thai Steamboat but also Mookata as well as some authentic Thai dishes. 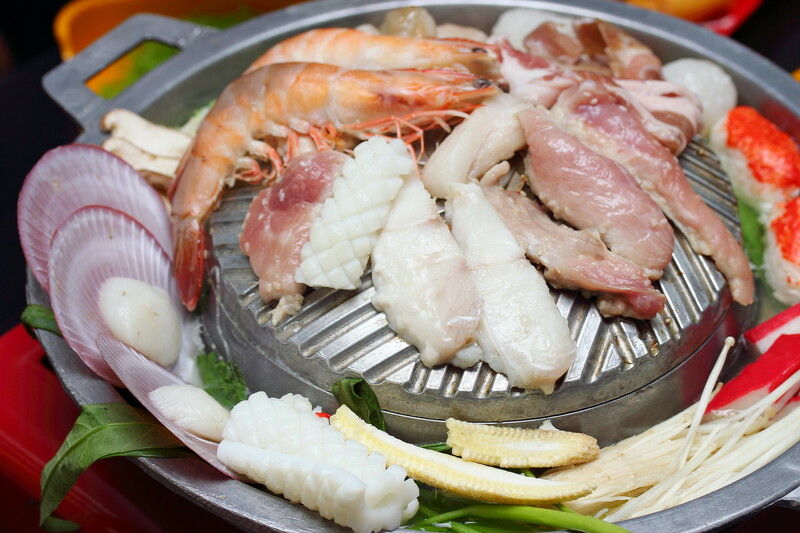 Suki Thai offers both set menu as well as a la carte dishs for its Thai steamboat and mookata. 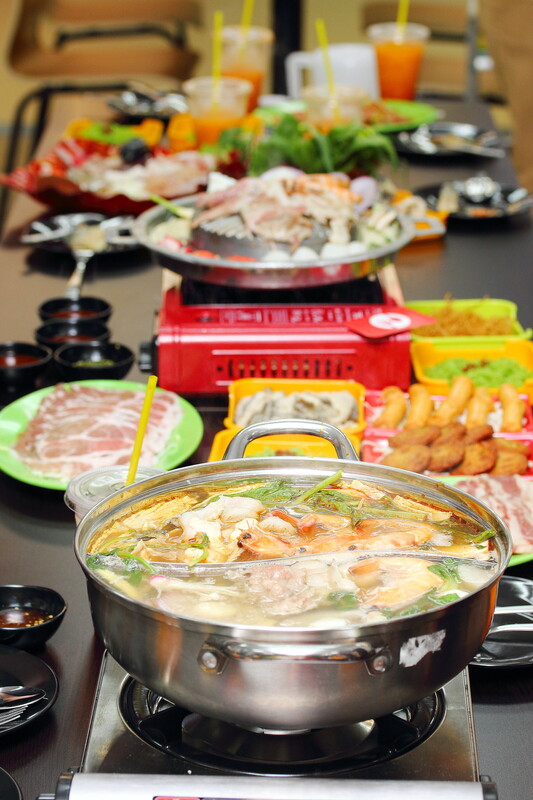 The Thai Steamboat comes in two soup base, Chicken and Tom Yum. Among the group, we seems to prefer the tom yum more than the chicken soup base. The sour-spicy broth seems to be even more tastier after cooking the ingredient in it, infusing all the essence. Suki Thai started off with only steamboat has since introduced Mookata on their menu after feedback from patrons. 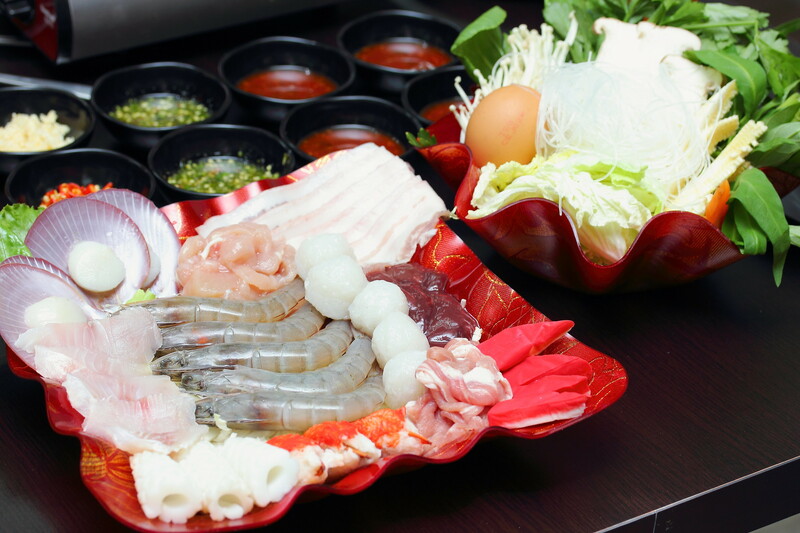 The beauty of dining at Suki Thai, especially in a big group, you get to enjoy both the Thai Steamboat as well as the Mookata. As Suki Thai is still new, they are also still adjusting their food offering as well as the pricing, gathering feedback from patrons. On the combo set menu they have the Vegetable Combo ($14.90), Meat Combo ($24.50) and Seafood Combo ($29.50). To be competitive, Suki Thai has since introduced the All in One Combo Set Menu ($40) which comes with everything; seafood, meat and vegetable. It is really value for money. Suki Thai also offers some selection of premium items on the menu such as the Wagyu Beef ($22), Kurobota Pork ($22), Baby Abalone ($26) and Canadian Big Scallop ($16). 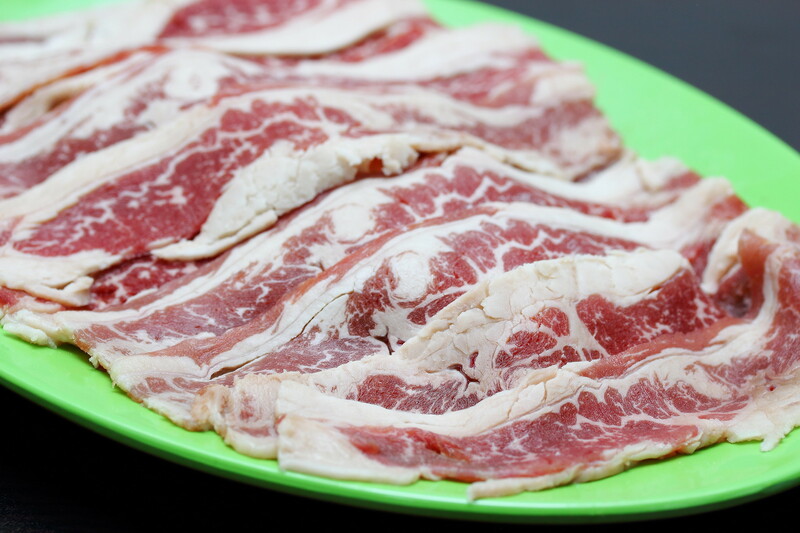 I like the fact that the meat at Suki Thai is not thinly sliced, which comes with a nice bite. 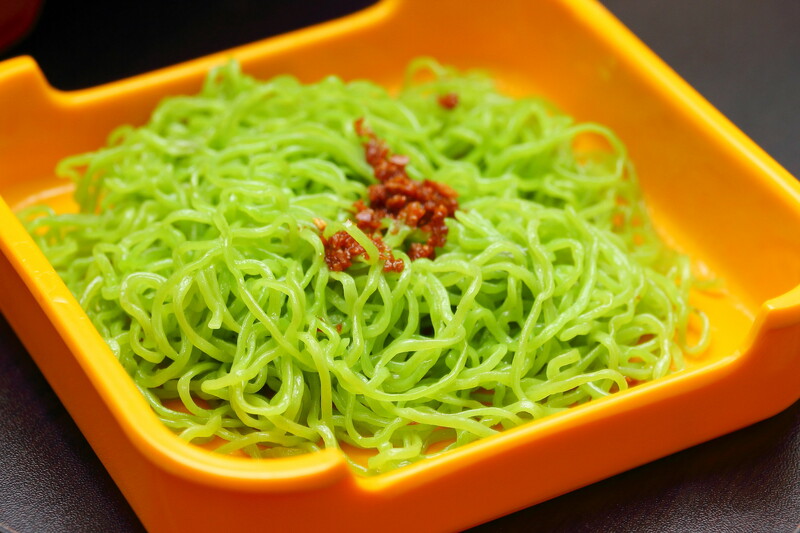 The ala care items at Suki Thai comes in different coloured code which determines the pricing starting from $2.50 per plate. One item not to be missed in the Jade Noodle which is the same noodle served in MK Steamboat in Thailand. 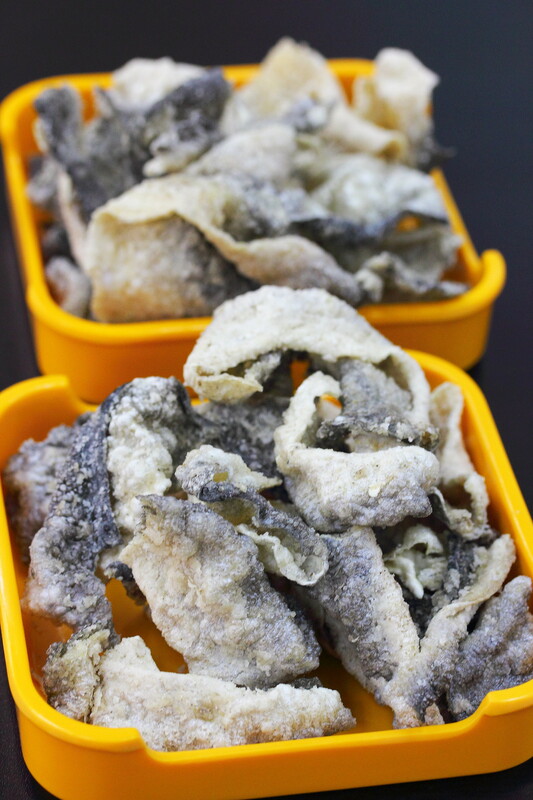 This is like your wanton mee noodle served cooked. It is super springy and so good that I can eat on its own. The thing about having steamboat or mookata is to wait for the soup to boil and then cooking the ingredients. Sometimes the wait is just too long for the hungry stomach. 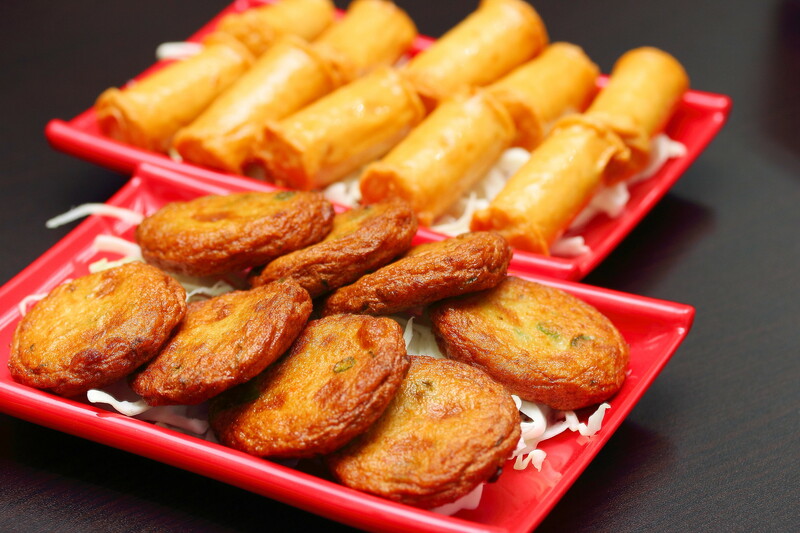 Worry not as Suki Thai also offers some delectable light snacks and food to fill up the stomach first such as the Crispy Fish Skin, Thai Fishcake and Cheese Hotdog. 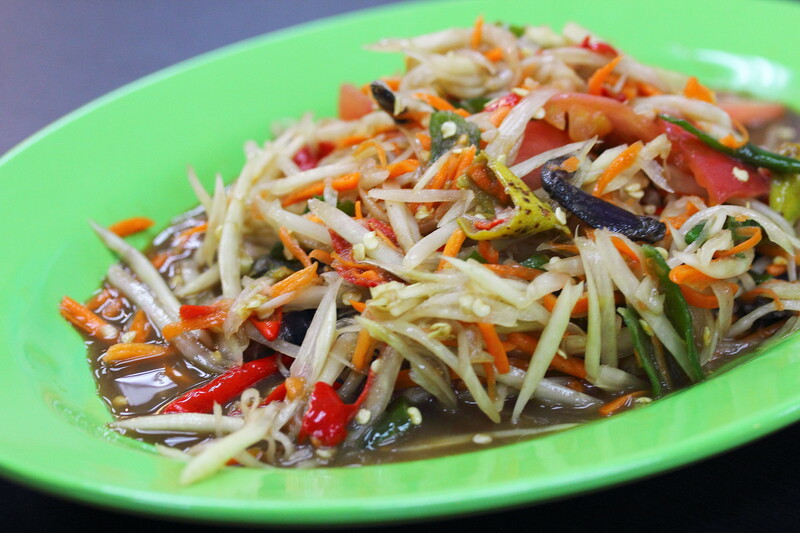 We also asked the kitchen to prepare for us a plate of Mango Salad the "real" Thai way without tuning down for the local palate. Instantly I can taste Thailand burning in my mouth, it was so fiery that I felt I was knocked out by a muay thai boxer. Besides the trio offering of Thai Steamboat, Mookata and Thai cuisine at Suki Thai, I like the spacious spacing at Suki Thai compare to the the other restaurants in golden mile complex. 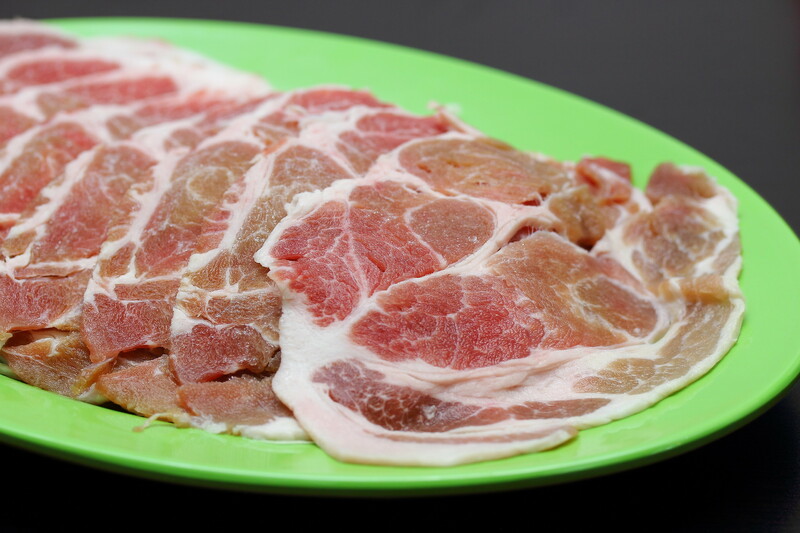 Having steamboat and mookata can be quite a sweaty event. The air conditioned and spacious spacing means no more squeezing and sharing tables with strangers. 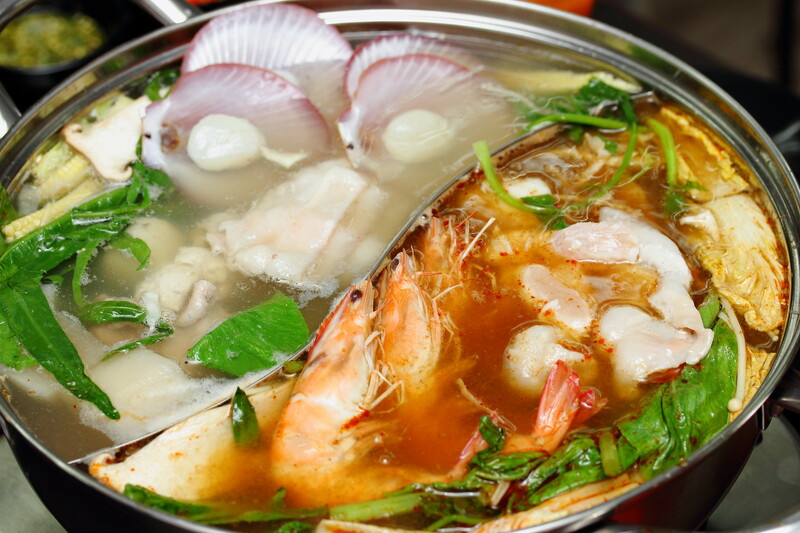 That Steamboat looks so lovely, and separating two types of broth in one bowl is inventive. The ingredients look fresh and beautifully prepared, and the Jade noodle makes its namesake proud. Would love to go and try it out, thanks for sharing!